Day two. We got sporadic rain showers throughout the trip. 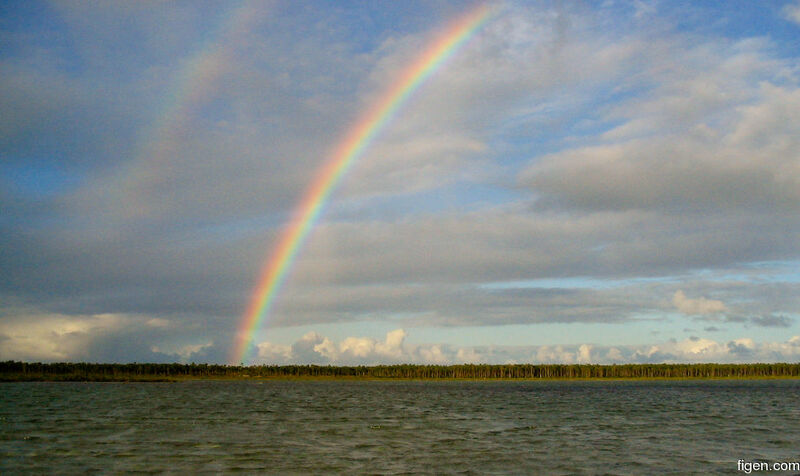 The occasional rainbow, here in stereo, was our consolation prize.